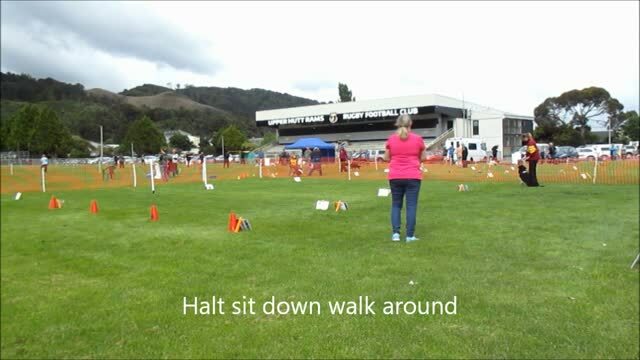 Note: In DogsNZ rally O the dog must start from a sit position. 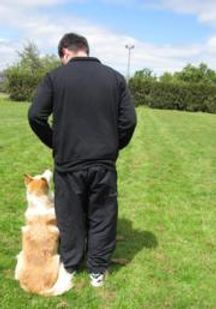 In NZARO Rally the dog can start from any position once the judge has given the signal "Are you ready? Forward"
A halt is a position where the dog must sit. Most signs have a "Stop" signs on them which indicates a sit. There are a lot of sits in the next two stations!